Suitable for use with Brompton Bikes. Fits 1 / 2 Speed Rear Wheel Axles (outer nuts, outside frame dropouts). Make your Brompton lighter with Ti Parts Workshop titanium components. 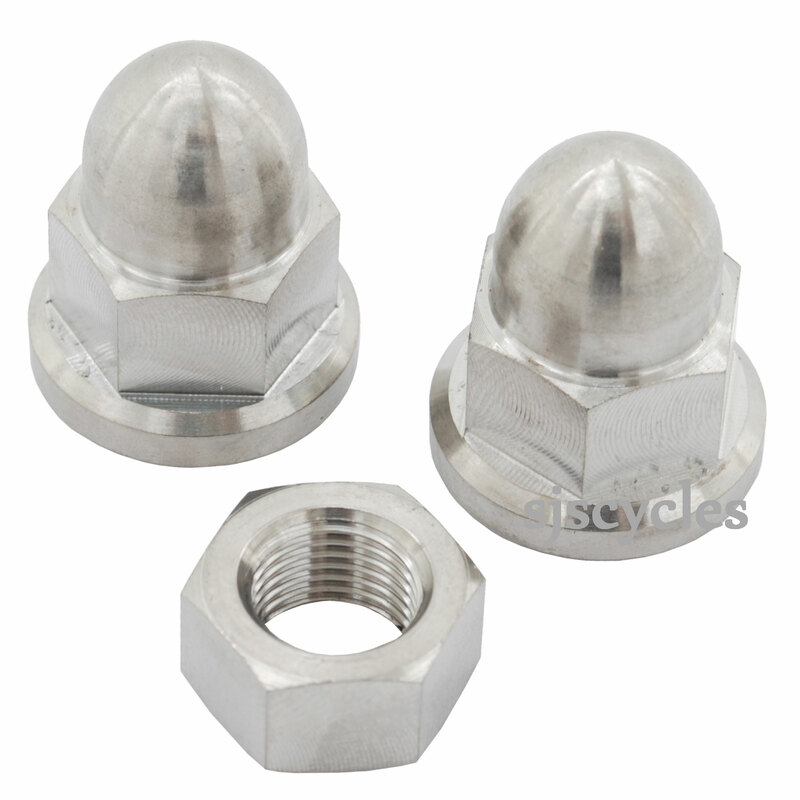 Set consists of three nuts; one standard and two cap nuts. What are the pros and cons of using these flanged nuts, as compared with the standard ones (i.e. SJS Cycles part number 36487)? Slightly more surface area, mainly aesthetics.